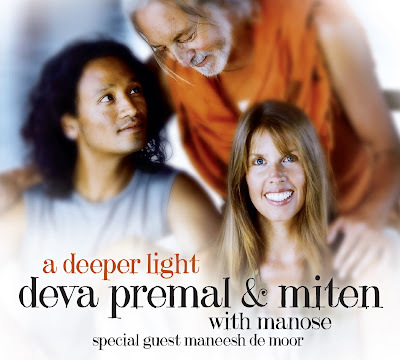 2013 release from New Age couple Deva and Miten joined here by Manose, the bansuri bamboo flute player from Nepal. With their latest offering, Deva Premal and Miten intertwine their trademark Sanskrit mantras with sensual, Dub-inspired grooves. The German-born Premal’s distinctive vibrato blends easily with the hypnotic vibe of the Reggae-inflected rhythms, heightening the inherent power of the sacred chants she sensually intones.